“Limit one per purchase” is the number one most misunderstood coupon term. The coupon lingo is rough. How many of you have just tossed the coupon thinking you can only use one of those coupons for your grocery trip? Or how many of you tried your luck at using coupons but your cashier told you that you can only use one like-coupon? I used coupons this way (one of each coupon) and would walk away with a mere $1.25 savings. It was depressing. I gave up pretty quick. How the heck did those people on Extreme Couponing do it? In December of 2015, I decided to give it another try. After trial and error, utilizing local couponing groups, understanding the coupon lingo, and watching unhealthy amounts of YouTube videos, I was successful. I was getting things for free, nearly free, and even making money on some of my purchases. Now, I’m not one of those extreme coupon ladies and I don’t get hundreds of dollars of groceries for like $2.67 but I do save quite a bit of money using coupons. In fact, couponing is one of the things that helped me become debt free. And it can help you too. 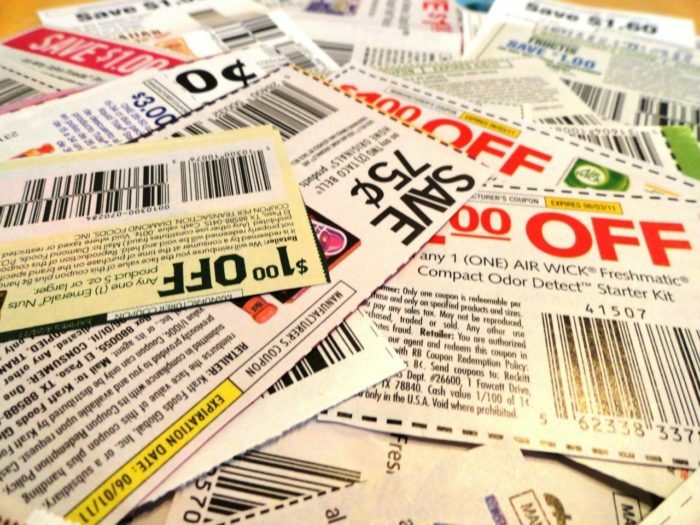 Couponing doesn’t have to be all or nothing, but it does take time and effort to be good at it. 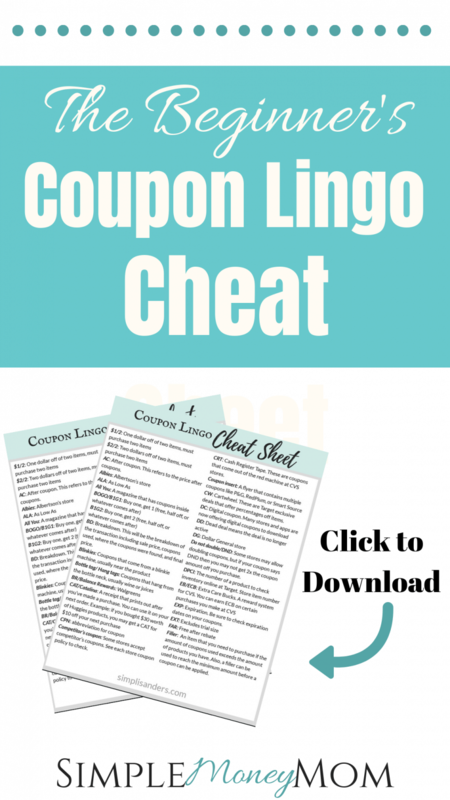 Whatever the reason you want to use coupons, understanding the coupon lingo is a great place to start. Below, you will find a list of all of the coupon terms and lingo used in the coupon world. I organized it in alphabetical order just for you. I’ve also created a printable version so that you can print it out and keep it with you in your Coupon Organizer at all times. AC: After coupon. This refers to the price after coupons. BD: Breakdown. This will be the breakdown of the transaction including sale price, coupons used, where the coupons were found, and final price. Competitor’s coupon: Some stores accept competitor’s coupons. See each store coupon policy to check. CRT: Cash Register Tape. These are coupons that come out of the red machine at CVS stores. CW: Cartwheel. These are Target exclusive deals that offer percentages off items. Do not double/DND: Some stores may allow doubling coupons, but if your coupon says DND then you may not get 2x the coupon amount off you purchase. EXP: Expiration. Be sure to check expiration dates on your coupons. Filler: A filler is an item that you may need to purchase if the amount of coupons you use exceed the amount of products you have. Also, some stores do not give cash back so you may need to purchase a filler item if your balance after coupons is negative. In addition, a filler can be used to reach the minimum amount before a coupon can be applied. Limit one per purchase: one purchase = one item. If you bought 3 cans of beans, you can use 3 coupons because you made 3 purchases. Limit one per transaction: You can only use one of the same coupon per the whole transaction. In this case, if you bought 3 cans of beans, you can only use 1 coupon. You can always ask to split the transactions and pay 3 times. Matchup: Matching up coupons is simply pairing a coupon with a sale for extra savings. Overage: Same idea as money maker. It typically happens when deals are matched with sales and paired with high value coupons so that there is a negative balance which result in the store owing you money. Price matching: Some stores will match the price of one of their competitors’ ads. Purchase: A purchase is one item. Rain check: If an item is out of stock, you can request a rain check to come back after the sale is over to get the item at the sale price. Shelf clearing: to buy everything on the shelf of the item that is on sale. Please don’t be one of these people. Stacking: Coupon stacking means that you can use multiple coupons on one item. For example, you can use a store coupon and a manufacturer coupon on ONE item. Stockpile: Having a large amount of product so that you don’t have to purchase for a while. Transaction: When you have paid, you have completed a transaction. Many items or purchases can be in one transaction. YMMV: Your mileage may vary. This means that the particular deal may not work for everyone depending on your city, store, and even cashier. This is so helpful! I’ve been wanting to coupon but it’s ao confusing. This is perfect for a quick reference when getting started. Thanks for sharing! It was so confusing to me too at first! Once I learned the lingo, it was easier to navigate online coupon sites where they announce the good sales. You would think couponing would be easier! I have found myself overwhelmed by coupon lingo. Honestly, I’m not that great when it comes to couponing, so I’ll have to keep these things in mind and give it a better try. My second try was definitely worth it. I gave up too after I tried to coupon for the first time. I hope to have more posts in the future to help beginner couponers learn the ropes. That’s great! Stay tuned. 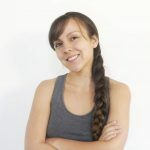 I plan to offer more info for beginner couponers in the next month. Great information, pretty useful. Thanks for sharing! Wow this looks so informative. Couponing is definitely overwhelming which is why I never looked into it. I hope it serves as a resource for beginner couponers. There is a lot to learn when using coupons to build a stockpile or to rack in substantial savings. I hope to offer more information in the near future to help those who want to learn how to coupon.